A Minute At A Time (1978-1979) was a British Television arts programme that was broadcast on the Anglia Television region of ITV. Each episode was exactly one minute long and consisted of a fixed-camera shot of an object or location, usually (although not always) devoid of humans. The programme is unique  for being broadcast soundlessly. A Minute At A Time first appeared on Anglia Television at 00:00:01 GMT, 1 second after the scheduled programme time, on Friday, 16th June 1978 . It was to be a weekly programme, running indefinitely, although in the end it lasted just 43 weeks. Although commissioned to fill the difficult “Midnight Minute”, the programme was intended for a family audience and to help fulfil the ITV franchise’s educational programming commitments. However, the programme was not to prove a success, and was discontinued within a year. Although little seen at the time, it has since gained a cult following among advocates of the New Boringness movement. The episodes were presented with a superimposed title at the lower edge of the screen, showing the name of that particular episode and, beneath it, the date and time at which it was filmed. It is unknown if the shown dates are factually correct (and some are clearly fabricated, as they would have occurred after the original broadcast date). The title disappeared from screen at the end of the fourth second of each episode. Each broadcast ended abruptly, with no end credits or titles, instead leading directly into the next scheduled programme. 1. June 16th, 1978 – The wind in the trees, June 11th, 1978, 7:23am-7:24am – The upper reaches of several horse chestnut trees, shot from below. 2. June 23rd, 1978 – A bridge, June 12th, 1978, 12:34pm-12:35pm – A wooden bridge across a woodland stream, shot at an oblique angle so that the far end of the bridge cannot quite be seen. 3. June 30th, 1978 – WindmillJune 13th, 1978, 5:01pm-5:02pm – A child’s windmill on the top of a sandcastle, rotating in the breeze. 4. July 7th, 1978 – Tap, June 14th, 1978, 6:29am-6:30am – A close-up on a water droplet welling at a tapmouth. 5. July 14th, 1978 – Milk, June 15th, 1978, 8:24am-8:25am – A pint bottle of milk is picked from a table, taken out of view, and then placed back down on the table having been completely drunk. 6. July 21st, 1978 – Cat, June 10th, 1978, 9:59pm-10:00pm – A cat eating some processed cat food. 7. July 28th, 1978 – A summer drink, June 30th, 1978, 1:08pm-1:09pm – Ice cubes melting in a tall glass of red liquid. 8. August 4th, 1978 – Automation, July 12th, 1978, 6:45am-6:46am – A washing machine during a spincycle, filmed from outside. 9. August 11th, 1978 – Toad, June 30th, 1978, 12:58pm-12:59pm – A frog sat in the summer sun. 10. August 18th, 1978 – Swimming pool, July 29th, 1978, 12:03am-12:04am – Ripples on a pond. 11. August 25th, 1978 – Cow, August 12th, 1978, 11:02am-11:03am – A close up of a fly on a white furred surface. 12. September 1st, 1978 – Pollen, June 28th, 1978, 5:48pm-5:49pm – A meadow in summer, the air thick with floating pollen. 13. September 8th, 1978 – Children, September 5th, 1978, 3:25pm-3:26pm – This episode has been lost. 14. September 15th, 1978 – After the harvest, September 12th, 1978, 6:21pm-6:22pm – Wheat fields burning. 15. September 22nd, 1978 – Bicycle, September 13th, 1978, 11:46am-11:47am – An upturned bicycle, its rear wheel spinning slowly to a stop. 16. September 29th, 1978 – Robeson, September 14th, 1978, 9:11pm-9:12pm – An unusually sized vinyl record (identified by the use of freeze frame as 16 Spirituals by Paul Robeson) playing on a record player. 17. October 6th, 1978 – Out of season Essex seaside resort, September 30th, 1978, 12:22pm-12:23pm – An exterior shot of an amusements arcade on Southend seafront. 18. October 13th, 1978 – Out of season Essex seaside resort in the rain, September 30th, 1978, 12:23pm-12:24pm – An exterior shot of an amusements arcade on Southend seafront during a sudden downpour. 19. October 20th, 1978 – Fish (no date given) – Dead fish on crushed ice, presumably in a fishmongers. 20. October 27th, 1978 – Violin, October 1st, 6:32pm-6:33pm – A woman playing a violin in a living room. 21. November 3rd, 1978 – Tea, October 18th, 8:30am-8:31am – Water coming to the boil in an open pan. 22. November 10th, 1978 – Crow, October 22nd, 12:59pm-1:00pm – A crow pecking at the camera lens. 23. November 17th, 1978 – The aftermath of a one-sided war, October 23rd, 7:34am – A spider rebuilding a shattered web. 24. November 24th, 1978 – Bonfire, November 5th, 7:56pm-7:57pm – A ragdoll with a crow’s head burning on a twig bonfire. 25. December 1st, 1978 – The aftermath of a one-sided war, November 30th, 4:59pm-5:00pm – Blood being swept into a runlet in an abattoir’s floor. 26. December 8th, 1978 – Happy Birthday, June 16th 1979, 4:32pm-4:33pm – A solitary candle burning on a mis-shapen cake. 27. December 15th, 1978 – A sink full of filth, December 12th, 1978, 6:54am-6:55am – Clumps of hair drop into an unfilled sink. 28. December 22nd, 1978 – Fish, October 19th, 1978, 3:12am-3:13am – Unremarkable fish in a fish tank. 29. December 29th, 1978 – Presents, December 25th, 1978, 9:00am-9:01am – Scraps of wrapping paper blowing down a dead grey street. 30. January 5th, 1979 – Television, December 26th, 1978, 7:41pm-7:42pm – A television shows an image of a television that shows an image of a television that shows an image of a television that shows an image of a television that shows an image of a television that has not been turned on. 31. January 12th, 1979 – A winter drink, June 30th, 1978, 1:06pm-1:07pm – A tall glass being slowly filled with a red liquid. 32. January 19th, 1979 – The sun at midnight, January 1st, 1979, 12:00am-12:01am – An entirely black screen, possibly the result of underexposure of the film. 33. January 26th, 1979 – Crab, June 16th, 1978, 12:00pm-12:01pm – A crab dangling from a piece of meat dangling from a fishing line. 34. February 2nd, 1979 – Washing, January 17th, 1979, 2:32pm-2:33pm – Clothes frozen stiff on a rotary washing line. 35. February 9th, 1979 – The Moon (no date given) – The moon, half full (nighttime). 36. February 16th, 1979 – The Moon (no date given) – The moon, half full (daytime). 37. February 23rd, 1979 – The average lifetime of a cumulus cloud is sixty three minutes, July 17th, 1978, 11:56am-11:57am – A cumulus cloud that looks slightly reminiscent of a hag. 38. March 2nd, 1979 – Melt, February 27th, 1979, 11:55am-11:56am – Close-up of a snow covered holly leaf. 39. March 9th, 1979 – The film was not an enjoyable experience at all, March 6th, 1979, 9:47pm-9:48pm – A crowd of people leaving a cinema. 40. 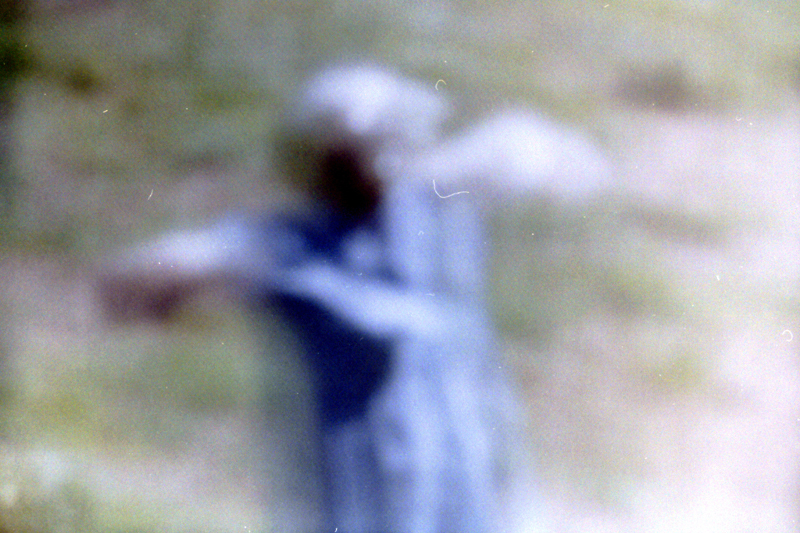 March 16th, 1979 – A photograph of my mother, March 15th, 1979, 10:39:am-10:40am – A shot of a photograph of an unidentified woman. 41. March 23rd, 1979 – Waiting in line, March 6th, 1979, 7:36pm-7:37pm – A close up of the feet of people in a queue. 42. March 30th, 1979 – Southend United versus Liverpool, January 10th, 1979, 7:44pm-7:45pm – An orange ball on a snow covered field. 43. April 6th, 1979 – Crow, April 5th, 1979, 7:58am-7:59pm – A crow eating a chip. 44. April 13th, 1979 – The Sun at midday, April 13th, 1979, 12:00pm-12:01pm – An entirely white screen, possibly the result of overexposure of the film. Several complaints were directed towards Anglia Television over episode 9, which was claimed to have almost certainly involved a chance of severe harm to the animal involved. Anglia Television claimed that all necessary procedures were overseen, and no further investigation occurred. The series was broadcast on PBS in America, shown consecutively in a single hour slot on the 16th June 1979, although episode 13 was omitted. The reason for its omission is unknown. Due to running time discrepancies introduced by the format conversion process, each minute ran to 62.5 seconds, giving the series a total running time of 44 minutes 48 seconds. Due to archiving mistakes at Anglia Television, several of the original broadcasts have been lost (episodes 6, 7, 13, 14, 18, 19, 23, 24, 25, 26, 27, 28, 30, 31, 34, 36, 37, 40 and 42), meaning the only surviving versions of these episodes are from the American broadcast. Because of this, episode 13 is currently considered lost, and, owing to the low viewing figures of the original broadcasts, its contents are unknown. Several theories of meaning have been proposed over the years, most of which centre around the final episode’s broadcast date coinciding with Good Friday. However, it is more likely that the over-reaching theme is one of artistic redundancy on the part of the director [original research? ].